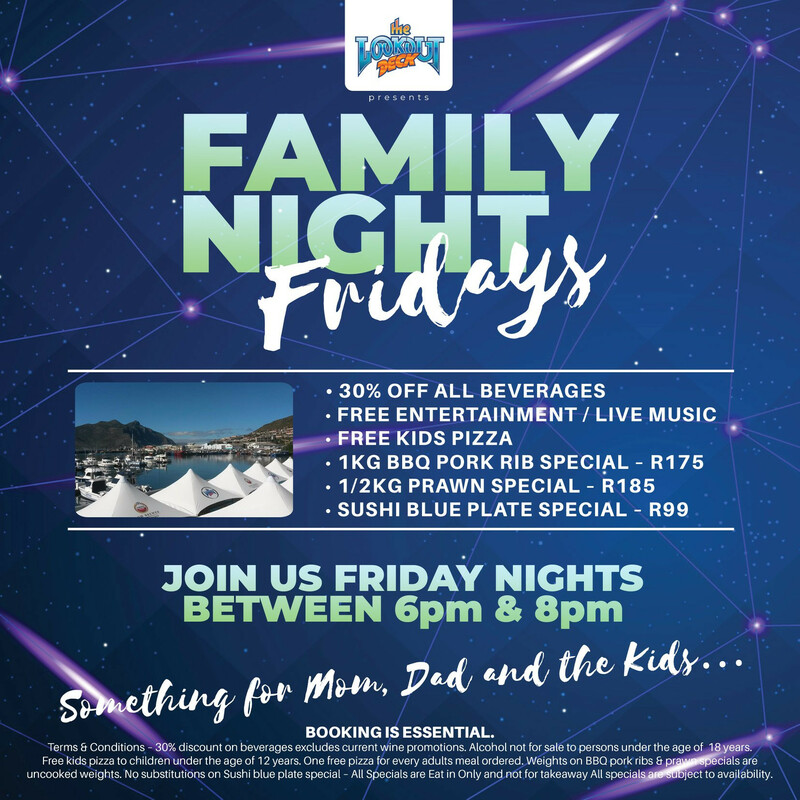 #FamilyNightFridays is a new promotion at The Lookout Deck Hout Bay. 30% Off All Drinks; Free Kids Pizza; Plus amazing BBQ Ribs & Prawn Specials; a Sushi Blue Plate Special, with Live Music. It’s all happening at the Deck, join us between 6 & 8pm every Friday Night. Bookings Advisable – T&C’s Apply. Hi Lookout team .. what is included in your Blue plate sushi special? Hi Nicci. The Blue Plate sushi special includes 15 pieces: 3 Salmon roses, 2 prawn nigiri, 4 tuna california rolls, 3 salmon sashimi, and 3 avo maki. The Lookout Deck supports responsible drinking. Make sure you get home safely.